Three golf courses, proximity to the beach and the natural environment convinced Gregg and Darlene DeCrane to retire at Sea Trail in Sunset Beach, N.C. eight years ago. "We like all the trees," Gregg said, indicating the live oaks surrounding the area. "It was one mile from our front door to the beach, now with the new bridge, we're closer." The change from Bowling Green, Ohio was dramatic, but the couple has embraced their new location. Other employees of Bowling Green University preceded them to Sea Trail, so when the DeCranes arrived they had friends to help them acclimate. It was a natural transition for Gregg as former dean of students to become active in Sea Trail Master Association. As its current president, he understands the workings, needs and advantages of where they live. "Our Master Association is one of the main attractions," he said. "I would put it up against any in the area." 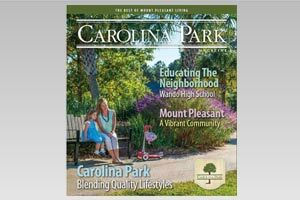 In 1976, a group of men with a vision took advantage of the opportunity to buy almost 700 acres of land in Sunset Beach, North Carolina, from International Paper. Without fanfare, the partners named their investment Sea Trail. Today, the 2,000-acre Sea Trail Golf Resort & Convention Center offers a tranquil lifestyle for those who yearn to relax on a deck or screened-in porch surrounded by towering trees, lush landscapes and incredible views. Brilliant sunshine, ocean breezes and balmy weather add to the picture of serenity. At the same time, activities abound at Sea Trail for those whose idea of retirement is daily walks on the beach, unlimited golf, biking and other opportunities to enjoy an active outdoor life. Less energetic endeavors are available, among them card games, mah-jongg and a knitting club.